Unfortunately there is no information about Kamptal DAC available. 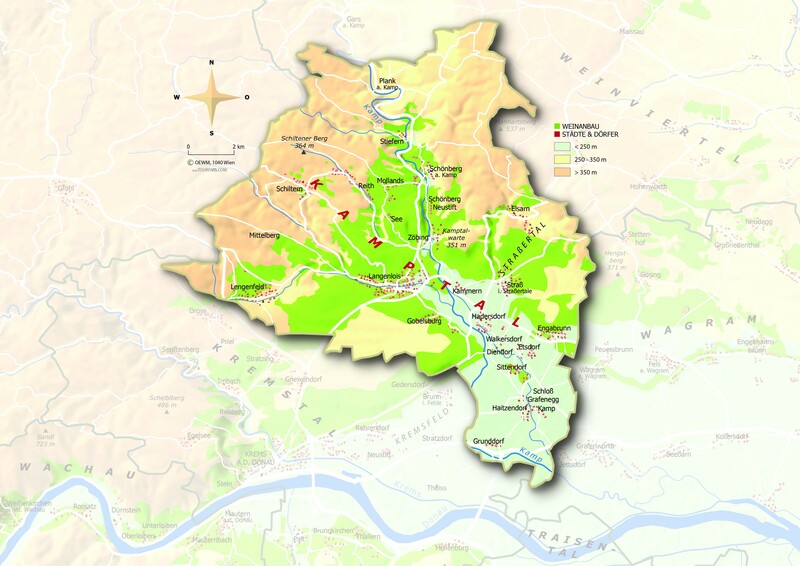 One of the eight specific wine regions in the Austrian state or generic wine-growing region Lower Austria, The name was given to the west of Wien lying area of 153 kilometers long river Kamp, which flows from Schönberg in the north to Hadersdorf in the south and near Krems in the Danube empties. A viticulture can be proven here at least since the early Middle Ages. By 1993, the two were today independent vineyards Kamptal and Kremstal united under the name Kamptal-Donauland. When soil types predominantly loam, loess and prehistoric soils prevail. 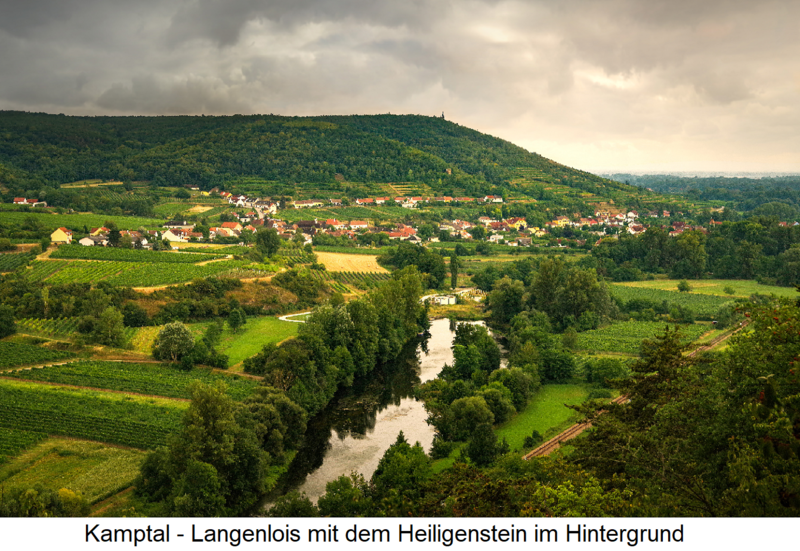 The climate is characterized by hot, Pannonian influences, as well as cool currents from the Waldviertel. The Rainfall is rather low; Fog often occurs in spring, autumn and winter. In 2015, the vineyards covered a total of 3,907 hectares of vineyards. Compared to 2009 with 3,802 hectares, this was an increase of 3%. The proportion of red varieties is 20.4% and the proportion of white varieties 79.6%. It dominates with more than half of the stock Grüner Veltliner, followed by Zweigelt and Riesling. From the year 2008, the quality control Kamptal DAC was introduced. All other quality wines have to with the ancestry Lower Austria, the Vins under the wine-growing region name wine country be marketed. In addition to the generally valid DAC conditions Special rules apply. The wines must taste a characteristic typicality with regard to the two grape varieties. For Grüner Veltliner : fruity, fine wort, none botrytis, no noticeable wood tone ( toast flavor ) balanced, Not heavy on alcohol, For Riesling : gossamery. aromatic. elegant. mineral, no Botrytis dominance, no wood color, balanced, not alcoholic. For reserve : strong style, pronounced area and variety aroma, dense and long in the leaving, a delicate botrytis and wood tone is allowed.